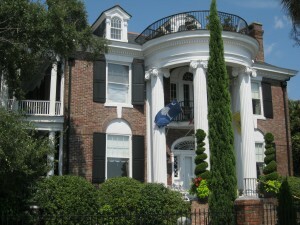 The avenue along Murray Boulevard is graced with grand houses that seem historic, but actually are not very old at all. The entire area was nothing more than a mudflat called South Bay until 1909, when construction began on a grand boulevard that would link the Ashley and Cooper Rivers. The project initially involved draining and filling acres of land by building a retaining wall and dredging mud to create a 47-acre area 8.5 feet above mean low tide. The land fill was completed in 1911, but it took an ensuing series of projects that lasted until 1925 to finish the 4000-foot paved drive that was named after one of the chief financiers of the effort, Andrew Buist Murray, as Murray Boulevard. 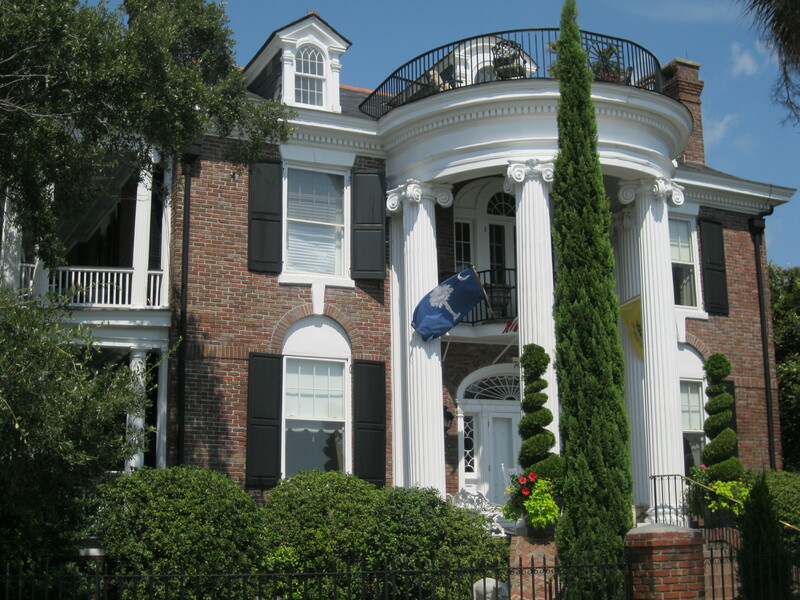 During the First World War, several of the houses that grace the area were completed in NeoClassical styles, including the new home of Charleston mayor Tristram Hyde in 1915. 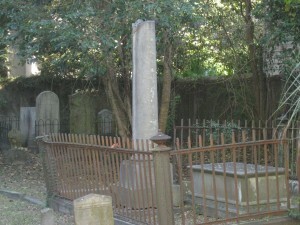 Hyde was the epitome of the Charleston mayor in the early 1900’s, desperately trying to drag the city into the 20th century by whatever means necessary. It was Hyde who pushed for the building of the monstrous Francis Marion hotel in the 1920’s, when he allegedly helped finance the project with payoffs from local bootleggers who ran some very profitable speak easies in town during Prohibition. Whether by hook or by crook, the South Battery-Murray Boulevard area is a vast improvement over old. muddy South Bay. 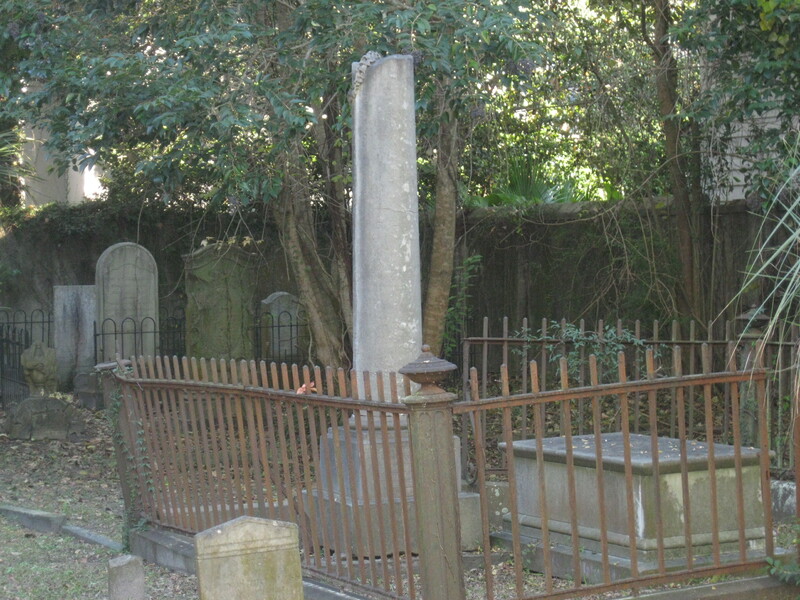 As late as the early 20th century, most Charleston women were giving birth at home. But in 1912, Charleston gynecologist and surgeon Dr. Archibald Baker opened a 60-bed hospital and medical teaching center that afforded women a safer, more antiseptic opportunity to have babies. The Baker Sanitorium was the first private hospital in Charleston, and literally stood out in its prominent location overlooking Colonial Lake with its unusual Mission Revival design, which was influenced by the old Spanish missions in California. 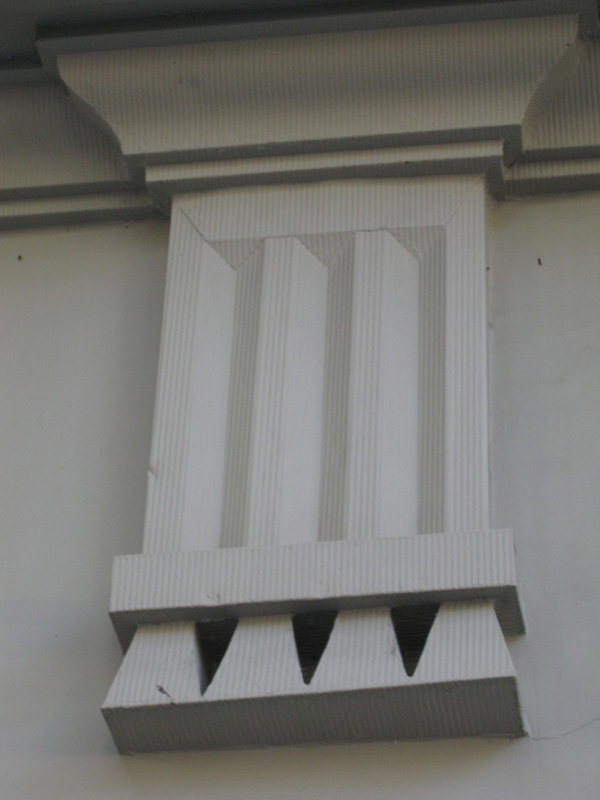 The four story structure featured overhanging cornices and arched passages designed to catch the prevailing westerly breezes off the Ashley River. 75 feet high, with giant canvas arms turning in the wind. Steam power would make wind mills obsolete by 1817 in Charleston, and the old structure was long gone before photography was born. This picture from 120 Tradd Street shows earthquake plates at different levels along a belt course detail. 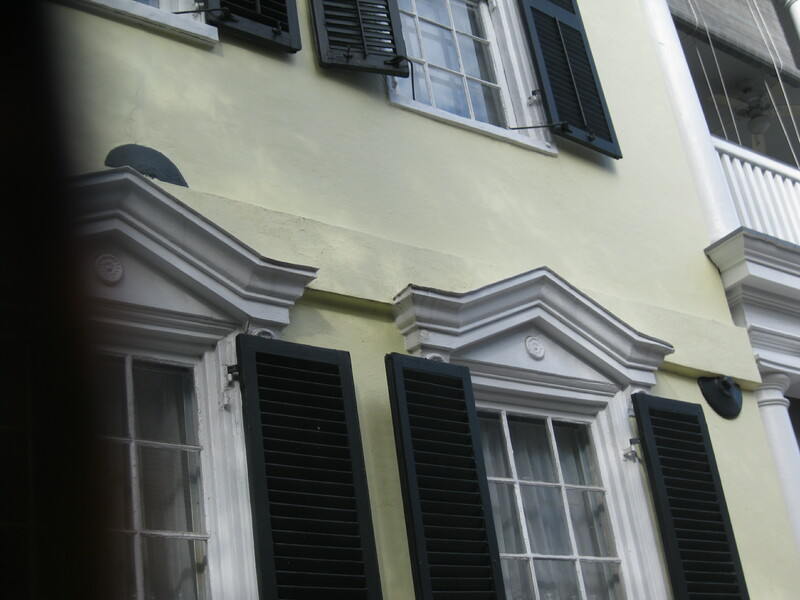 All earthquake plates in Charleston are refits to existing buildings, and sometimes, the fir wasn’t easy to make. The technical name for these plates is “gib” plate, a technology that had existed long before the 1886 earthquake shattered Charleston walls with tremors measuring an estimated 7.3 on the Richter Scale (that’s because the Richter Scale didn’t exist until nearly fifty years later and all numbers are estimates). A gib plate is an adjustable metal brace, in which iron rods were connected by inserting through spaces between flooring and joining with a turnbuckle. To hold the wall in place theoretically, they were capped by a washer plate and bolted tight. 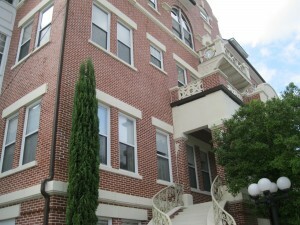 A belt course, like the one pictured, is an exterior detail made from extending the courses of brick at a certain point, then stuccoing over to create a spatial look between floors. 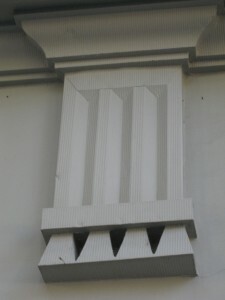 It was less efficient to cut through the extra brick course than either above or below it, and if the brickmasons’ work was not level with the framing, the rod would be obstructed as it obviously was here, so either the separate rods go through at slightly different levels, or the belt course was removed and relaid between the plates, or they simply were cut to fit. It was not uncommon to fix gib plates on damaged buildings were bricks had fallen and then re-brick over them, as can be seen from Stoll’s Alley on the Northwest corner of the house at 47 East Bay Street, whose corner “coin” had obviously come off during the earthquake, a gib plate affixed, then the coin rebuilt on top of the plate. So, if you look closely around Charleston, you will see the partial earthquake plate look in several locations. Author adminPosted on November 11, 2012 November 11, 2012 Categories UncategorizedLeave a comment on Partial Plates? 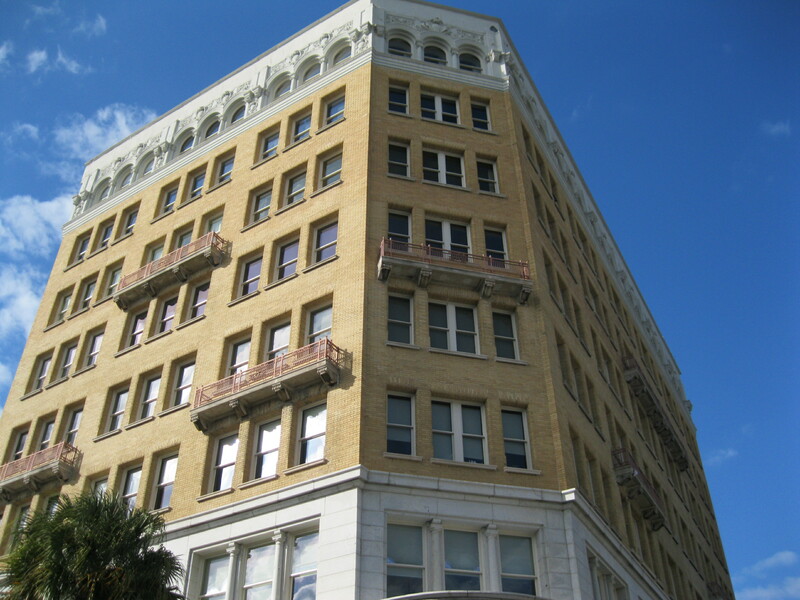 On November 11, 1909, bids were accepted for the 8-story “People’s Building” in Charleston. 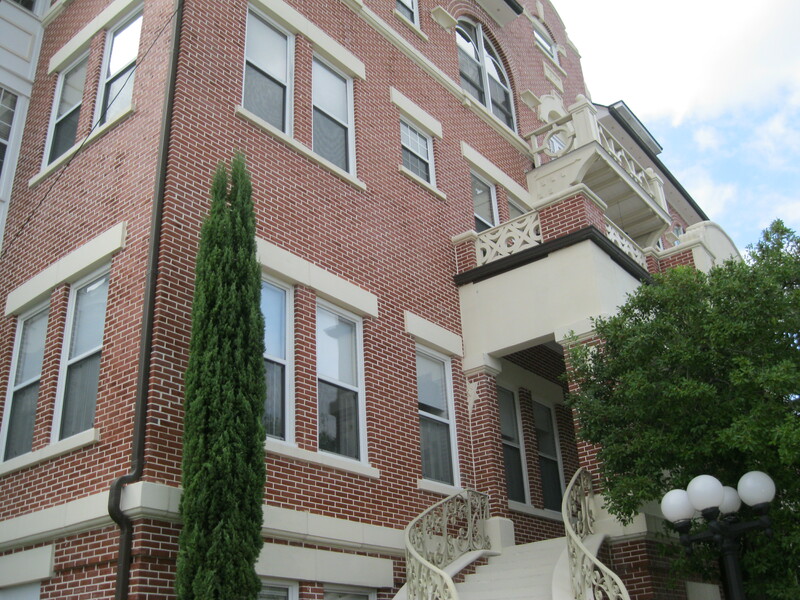 The average bid was $250,000 to build Charleston’s first skyscraper with a brick, granite and terra cotta exterior. The name came from the People’s Bank of South Carolina, which moved its local headquarters from across the street at 15 Broad Street. To erect the massive structure, an historic 19th century building with Greek Revival portico was sacrificed, and another was so badly damaged by the pilings that were driven that it was taken down as well. The idea of the big office building was the brainchild of former Charleston mayor Robert Goodwyn Rhett, who was president of the People’s Bank, and a firm advocate of modernizing the city at all costs. To help persuade Charlestonians that the new monstrosity was worthwhile, Rhett invited the newly-elected US President, William Howard Taft, to visit the city. Taft reportedly remarked that the view from atop the People’s Building was worth the construction, but what is really remarkable is that the new electric elevators were actually able to tote his 300-pound body to the upper floors of the building without breaking down. Admittedly, the 1912 roof top picture of the Great Gray Fleet of US battleships entering the Cooper River was a memorable shot from the People’s Building roof, but otherwise, the angular yellow building has stood out like a sore thumb since those bids were made so many years ago.